Golf is a game that involves precision and utmost dedication. When you watch the game being played, you might think it is easy to maneuver the ball into the hole but in actuality, it is way tougher. Estimating the location of the hole and calculating the force with which you should swing the club to score a hole requires sharp cognitive functioning. It is a popular game among the elites and the masses, and lays more stress on strategy than physical prowess. It does not matter if you are a professional or are just starting out, a Golf GPS will enhance your game like never before. The best advantage you can have as a golfer is to know more about the location you are hitting the ball to. It does not matter how far you can club the ball, but all about who can score the hole using a minimal number of strokes. If you have an idea about the layout the golf course, you will benefit tremendously and become a better player within days. Previously, when GPS was not in existence, it would have been near impossible to locate your exact spot on the golf course and the hole you will be aiming for. There was no mapping that could change according to your position. However, now with GPS devices available so readily- it is an entirely different ball game. You will get to see the aerial transmission and green distances of the course on your device, and keep a track of your scores, points and game details. Once you have a clear image in your head, you can swing your club more precisely. Also, your distance from the centre of the green will determine which club will be best for use. Any good Golf GPS device will have a shot distance feature that will help you understand how you need to hit differently with each individual club. You have to admit that gauging the proper distance on a golf course is what takes up a lot of time and might interfere with the flow of the game. A Golf GPS device will ensure that you do not have to face such hassles, and give you the information you need. You won't need to look for a guide to help you out. Finally, you won't have to spend your precious golfing minutes in locating your distance to the pin and finding the post. Apart from the fact that it gives you more time to revise and rethink your strategy, it also effectively stops you from undershooting. You will not need to take extra strokes and cause unnecessary delays anymore. You will be able to swing your balls into the halls using lesser strokes, becoming a more pragmatic player. Take a second and think about this. When you play a game you are looking to win and that is indeed true. However, you are also looking for an inner satisfaction every time you swing your golf club. Playing the game should make you happy. Using a Golf GPS will ensure that it does so. All the guess-work and elaborate methods that you need to follow on the course for determining distances to make your shot better will be obsolete, as the GPS will do that piece of work for you. You will utilise your time better, and this will reduce your scope of being cranky and help you uphold the sportsman spirit. A Golf GPS device can be found in various forms. The simple handheld device is now in competition with efficient smart-phone applications. 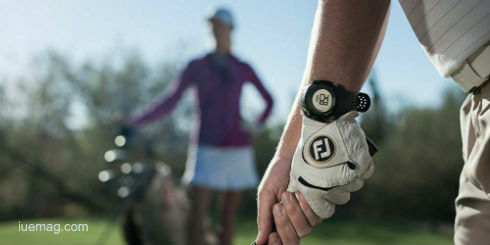 You can be innovative by opting for a wristwatch with an integrated Golf GPS. You will be able to update the maps whenever and wherever you want to play. So if you are looking for something to improve your game tactics, a Golf GPS is what you have been looking for. Using it properly is an art by itself. Any facts, figures or references stated here are made by the author & don't reflect the endorsement of iU at all times unless otherwise drafted by official staff at iU. This article was first published here on 8th July 2017.